This week’s photos from the vault come from the Yassıada Byzantine wreck, reported to journalist Peter Throckmorton in 1958 by a sponge diver from Bodrum. It was excavated between the years 1961-1964, requiring 3,533 dives. The wreck lay about 32-39 m deep off Yassıada, a small coastal island that caused many ships to wreck in antiquity, and contained a wealth of information about the 7th century A.D. The mapping system, carefully employed by the excavators, provided details about its construction and allowed for a full reconstruction of the ship. 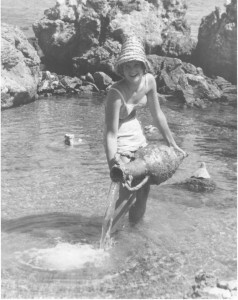 Top Left: Ann Bass holding resin used to make replicas of the anchors from this wreck. Although the anchors had long since decayed the concretions that formed around them left a hollow mold which could then be filled with resin to reveal the original once the concretion was broken away. 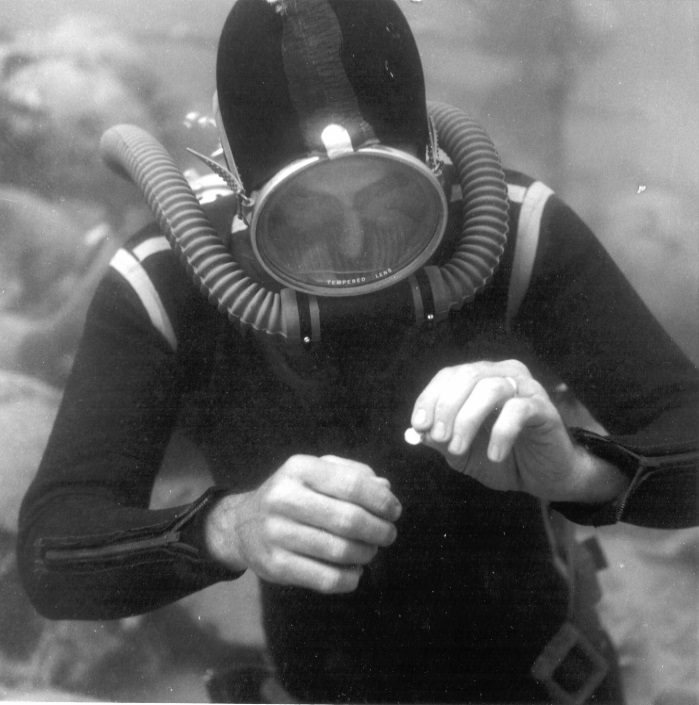 Top Right: George F. Bass inspecting a small artifact while diving on the site. 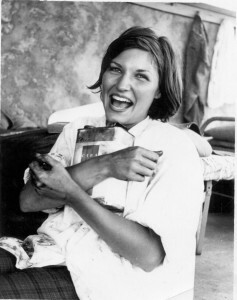 Bottom Left: Susan Womer (now Katzev) holding an amphora. 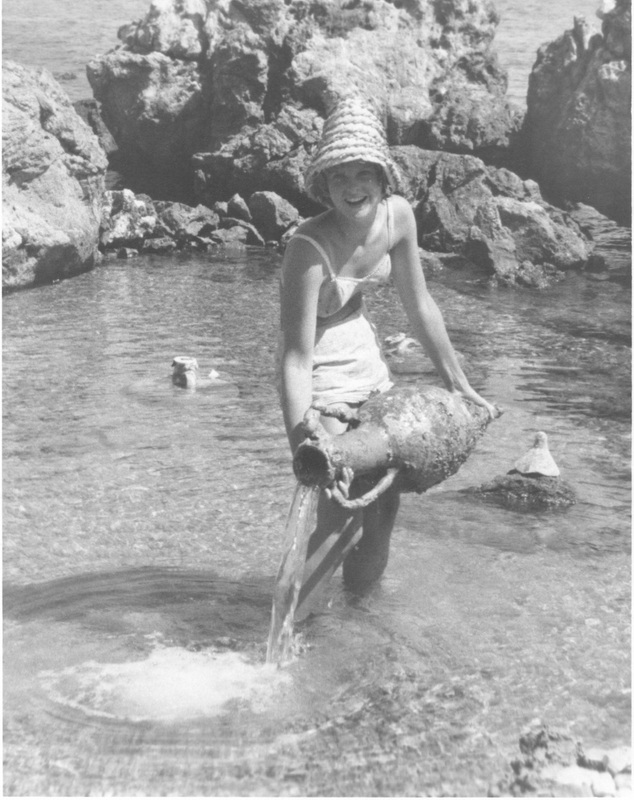 Due to resting on the sea bottom, chlorides had permeated the ceramics, these were then removed by placing the amphoras in a fresh water bath until the chloride had been removed. 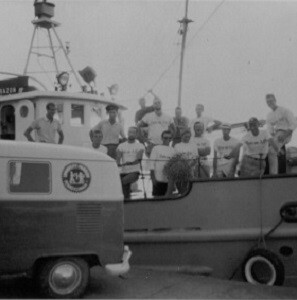 Bottom Right: The team loads up onto the Virazon to begin the field season.